Annual death rate from coronary heart disease U.S. is 500,000. 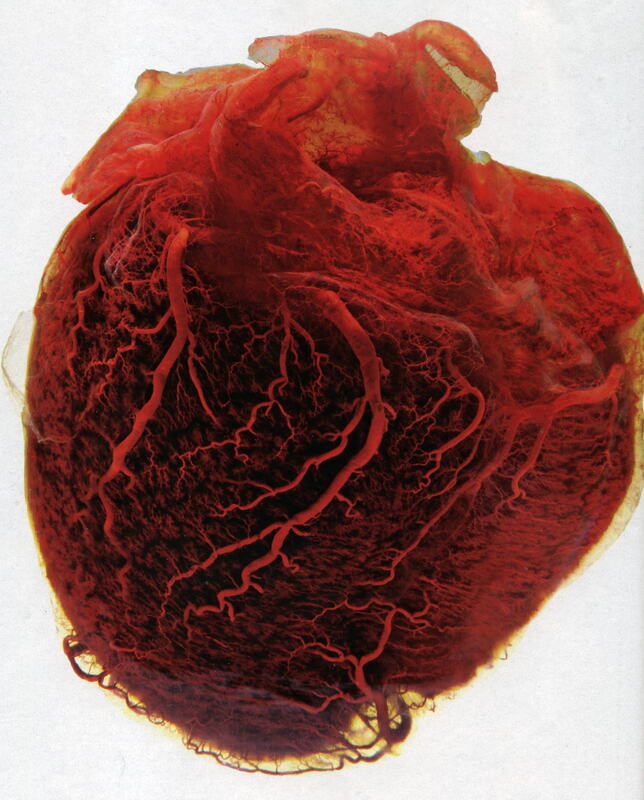 The 10-ounce heart beats 100,000 per day and pumps blood through 60,000 miles of blood vessels. There has been in the last 3 years numerous changes and additions to the healthful website as JK realized the extent of corruption worked by pharma on the evidence base. Major revision in causes of heart disease. Major cause of cardiovascular disease is pathogens living within the middle layer of artery walls. It initiates the immune response which involves LDL, HDL, and white blood cells. Reactive chemicals such as simple sugars and carbon monoxide can potentiate the process resulting in the formation of plaque within the artery walls. For confirmation of cholesterol myth enter into http://scholar.google.com/ or http://www.amazon.com/ cholesterol myth, or go to http://healthfully.org/rl/id5.html for collection of journal articles. Placing a stent (angioplasty) in artery takes about 30 minutes. Genetic factor MEF2A codes for a protein that makes up part of the cell’s membrane. When mutated the risk factor for coronary is over 95%. Other genes are being found, such as apoE4, which is involved in arterial inflammation. There is a mechanism whereby to deal with arterial inflammation plaque forms in affected areas. This mechanism is mediated by white blood cells. Vioxx and all the COX-2 inhibitors except aspirin block the part of this mechanism which switches off the plaque formation. Sudden death from heart attack, without significant prior symptoms, occurs in 59% of men and 64% of women. 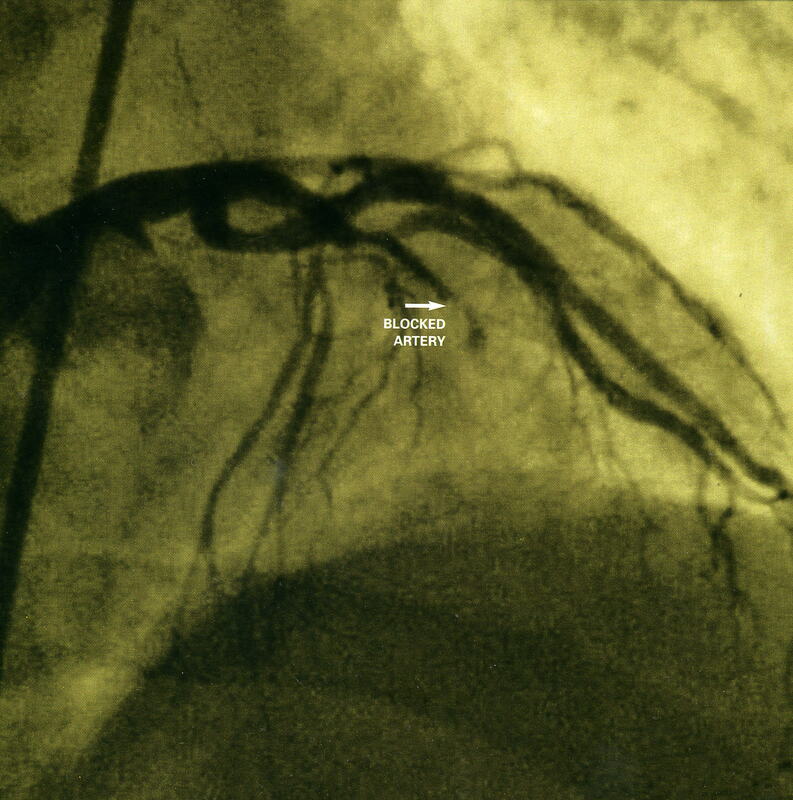 Coronary artery walls are about a millimeter thick and flex about 70 times a minute as the heart pumps. It is thus tough to get a clear image of how occluded. 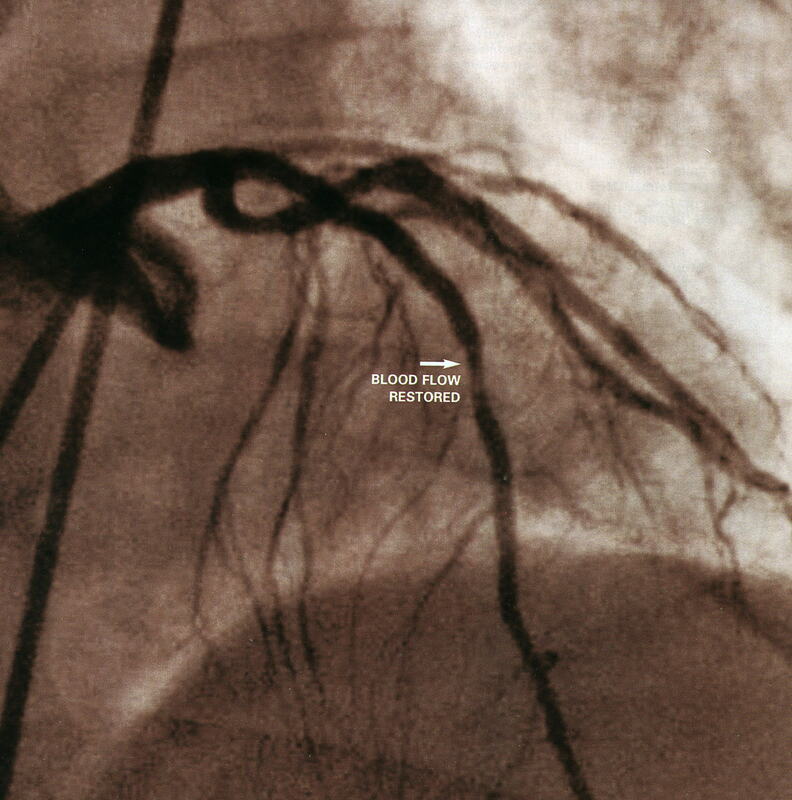 An angiography (where a die is injected into the blood vessel, can only show how much blood is flowing through the artery, and not the plaque embedded in the wall. Computed tomography (CT) scanner (a 3-dimensional x-ray machine) can produce striking images, however, it is too risky, and costly for standard screening. Psychological factors do not directly affect the heart, but rather have an impact on lifestyle or for some are associated with increased blood pressure. 2. Immune system dispatches macrophages to consume the cholesterol. The bloated macrophages become foam cells. 3. Foam cells accumulate to become a major component of the plaque. 4. To keep the arterial walls slick and smooth muscle cells form a cap. 5. Foam cells in the plaque secrete chemicals that weaken the cap. 6. When the cap cracks, plaque seeps into the bloodstream, and can form a clot which can block the flow of blood. 7. Inflammation process is believed to soften the plaque. Ischemic heart disease, also called myocardial ischemia, a diseased characterized by reduced blood supply to the heart muscles through narrowing or blockage in the coronary arteries. The main cause is atherosclerosis. Plaque in the artery wall leaks out and blocks further down stream coronary artery, which results in permanent damage to the heart muscle through reduction in the muscle’s oxygen supply. It is the most common cause of death in developed countries. 4. Stimulants such as adrenaline which both speed up and strengthen contractions. 6. anticoagulants reduce risk of additional blood clots. 7. Inotropic drugs to raise blood pressure. 8. angioplasty, stents, and bypass surgery to open blocked coronary arteries.